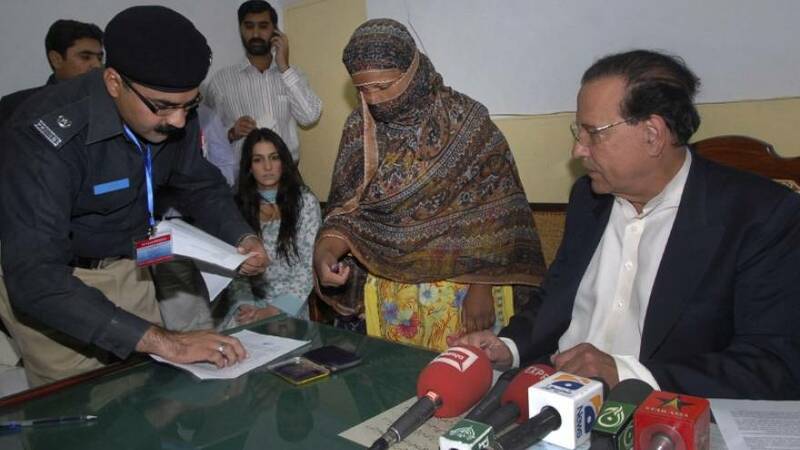 Asia Bibi, the Pakistani Catholic woman acquitted of blasphemy after spending eight years on death row has been freed from prison, her lawyer has said. The ruling by the Supreme Court last week to overturn her conviction prompted violent protests in Pakistan. The mother of five is now at a secure location for fears of attacks on her, according to officials. Bibi was convicted of blasphemy in 2010 over allegations she insulted Islam after neighbours objected to her drinking water from their glass because she was not Muslim. She has always denied the allegations that she insulted Islam's Prophet Mohammad. Her release sparked anger from a hard-line Islamist party that has threatened countrywide street protests if her acquittal is not reversed. 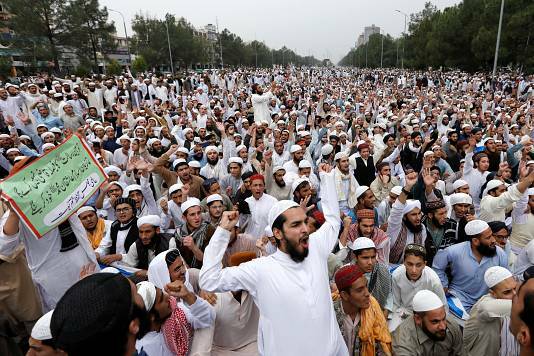 A spokesman for the conservative Tehreek-e-Labaik (TLP) party, which took to the streets after the Supreme Court ruling, said her release violated a deal with the government of Prime Minister Imran Khan to end the protests. The party also said Bibi may not be able to leave Pakistan as under the deal the government promised to work to ensure she could not leave the country. Christians worldwide have been outraged by the case. Pope Francis met Bibi's family this year and told them he had prayed for her. Meanwhile, Italy said on Tuesday it would try and help Bibi leave Pakistan. The country has some of the harshest blasphemy laws in the world and carries a mandatory death penalty for insulting Islam¨’s Prophet Mohammad. The Dutch government said on Thursday it had offered temporary shelter to the lawyer who helped free her.